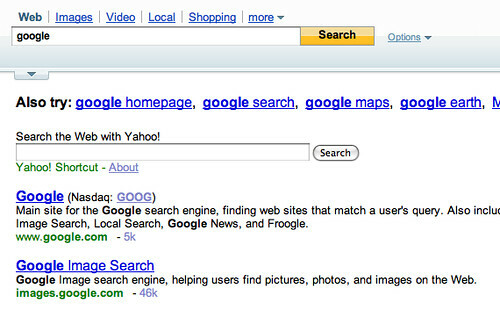 In the old days, if you conducted a search at Yahoo Search, Yahoo would automatically number the results for you. So of the 10 listing, Yahoo would display the rank number on the left of the result. Previous story: Google December '07 PageRank Update?